When is the Fortnite season 5 release date? Here is everything we know about the upcoming Fortnite season 5 battle pass, map, theme, and more. The Fortnite season 5 release date heralds the arrival of a new battle pass and, most importantly, that means myriad new skins, gliders, emotes, and all that other good stuff for us to unlock. Over nearly ten weeks we have toiled over fresh batches of Fortnite challenges to win ourselves more superhero-themed gear than we can fit in our lair’s sizeable walk-in wardrobe. But, now, the next Fortnite season is right around the corner. The new Fortnite season 5 battle pass won’t help you in combat, but our top Fortnite tips and tricks will. While we finally know the Fortnite season 5 release date, there are still plenty of questions to be asked. Fortnite’s map was transformed in the wake of an asteroid impact as the previous season kicked off, so what will the Fortnite season 5 map look like and what will the Fortnite season 5 theme be? Here is everything we know about the release date, battle pass, and theme of Fortnite season 5. Rejoice! The Fortnite season 5 release date has already passed, so you can get into the action right now. 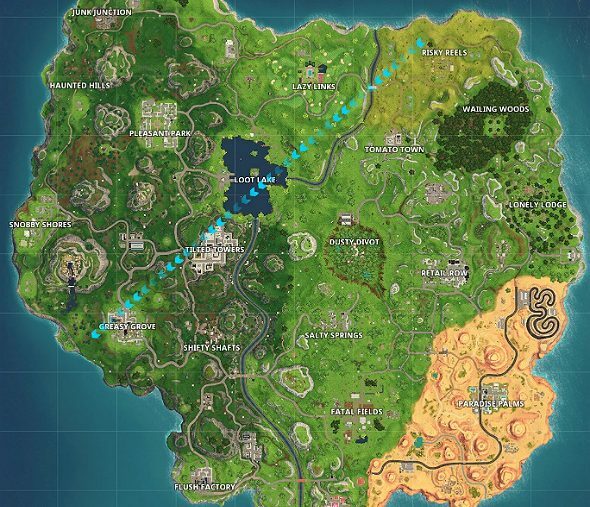 Before the launch of the new season, we expected, given the density of the map, that the Fortnite season 5 map would change areas, rather than add more. What’s more, theFortnite riftsthat have appeared across the island after the rocket launch swallowed up the Lonely Lodge sign and the Tomato Town mascot. It might not happen often, but we were actually right this time: the Fortnite season 5 map has a brand new desert biome and two new locations – Paradise Palms and Lazy Links – with a host of additional unnamed ones. Paradise Palms sits at the centre of this arid new area that has completely drained what used to include Moisty Mire and Prison, and the new Lazy Links golf resort sits where Anarchy Acres used to be. The other headline addition is the unnamed addition atop a mountain south-east of Snobby Shores. Here a gigantic Viking longship stands teetering on a precipice as snow cascades all around. Out of the way Shopping Cart, there’s a new vehicle in town. The All Terrain Kart is the first Fortnite vehicle to fit an entire four-person squad, and it offers a speed boost for drifting. Passengers can lean back so your team can gain greater height on jumps and it, of course, has a jump pad on the roof. One of the key gameplay changes concerns shotguns. Now you will be able to see how many of your pellets actually hit your opponents, and bullet spread is less randomised. There are also damage and bullet drop-off tweaks to SMGs. In other news from the Fortnite season 5 patch notes, there are changes to the storm circle that allow them to move around the zone, rather than just continually shrinking. 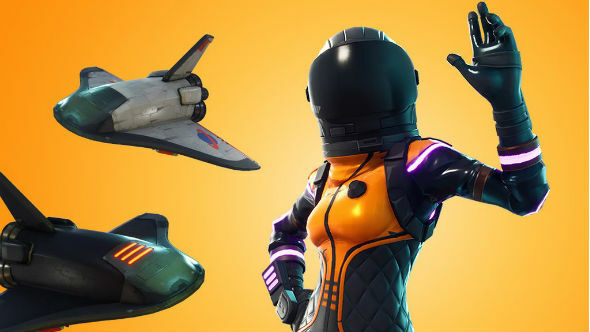 The Fortnite season 5 battle pass is here to give you the chance to unlock premium Fortnite skins with the help of more weekly challenges. Also, this season’s Blockbuster and Carbide challenges are called Fortnite Drift and Road Trip challenges. There are still treats for those who don’t feel like stumping up the Fortnite V-Bucksfor a battle pass, but it is unlikely that they’ll be as exciting as the premium presents paying players will enjoy. The Fortnite season 5 battle pass again costs 950 V-Bucks, or £7.99 / $9.99 for a bundle of 1000. The Fortnite season 5 theme is an interdimensional theme, otherwise known as ‘Worlds Collide’ featuring a temporal mashup of viking ships, ancient statues, and more. Last time we lived out our dream of becoming a superhero, but following the Fortnite rocket launch cracking the very fabric of the space-time continuum, Fortnite season 5 crosses dimensions and time zones.